I am stepping on the daily blogging bandwagon a tad too late, but I am on it nevertheless. Also, the letter for today is M which stands for a sitcom I absolutely love. 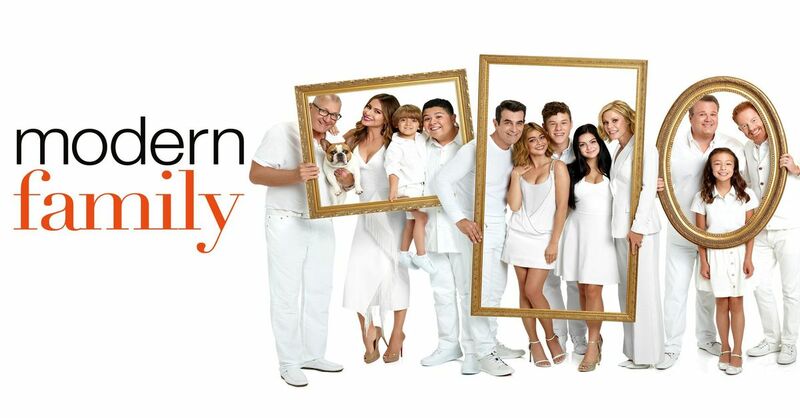 Modern Family. I am sure this show has a lot of fans. And if you have not heard about the show, it is time you did add it to your watch list. It is only my second favourite show, only after FRIENDS. There are SO many reasons I love the show but it is these five characters that keep me hooked. Basically Phil Dunphy is me. I am the king (queen?) of goofy jokes and strange antics around the house. His childlike innocence makes him a lovable character while creating a perfect balance with his wife. And ofcourse, Ty Burrell plays him to perfection. I will be honest, if it weren’t for Sofia Vergara, I would never have adored the character of Gloria. Her accent is endearing and her acting so on point. She makes Gloria likeable and funny. I have been rooting for Lily to become a sass queen since season one and boy, my wishes have been answered. As the seasons have progressed, Lily has redefined smartness with her quips and not for one second do we feel like she is being disrespectful. I was Haley once in my life. Not the popular queen of the school. But at that place in life, where figuring out where to go next in life is an adventure in itself. Her character has grown so well. Also, she is so stupid sometimes, it’s funny. There is this man in the show, is textbook homosexual but plays soccer and excels at it. He loves pink and Meryl Streep but drives a truck with precision. How can you not love a character with so much to offer! Modern Family is a resonance of everything that a present family system in most metro cities go through. There is always one moment in the entire episode that will relate to you and leave you feeling bubbly and extremely happy. And if a television show leaves you with nothing but happiness when it is over, I call it a satellite win. When Baby Hashtag grows up, I may have television restrictions but I am making her watch reruns of this show. I am sure she will enjoy it, well I hope she does. These are my favourite characters from the show. I do love the others, but these have my heart. If you are a fan of the show, which one is your favourite? Let me know. See you tomorrow, back with the challenge!